Board of Directors passed a resolution to appoint the Audit Committee and approved the regulation of the Audit Committee to define the duties and responsibilities. The Audit Committee comprises of three members who have all necessary qualifications in accordance and hold office for the term of three years. However, the audit director can be reappointed. 1. To review the Company’s financial reports are accurate and sufficient in accordance with generally accepted as the accounting standards. 2. To review the Company’s internal control and internal audit are appropriate and effective. To consider the independence of Internal audit departments, as well as to approve the appointment or dismissal of Chief Audit Executive. 3. To review the Company’s compliance with the law on securities and exchange, regulations of the Stock Exchange of Thailand and laws concerning with the Company’s business. 4. To consider and nominate an independent to serve as the Company’s Auditors and fixing their remunerations. To attend the meeting with auditor by without the Company’s management at least 1 time per year. 5. To consider the related transactions or transactions that may have conflicts of interest and make it compliance with the Laws and regulations of the stock exchange. This is to ensure that such transactions were reasonable and most beneficial to the company. – An opinion on the accuracy, completeness and reliability of corporate financial reporting. – An opinion on the adequacy of the internal control of the company. 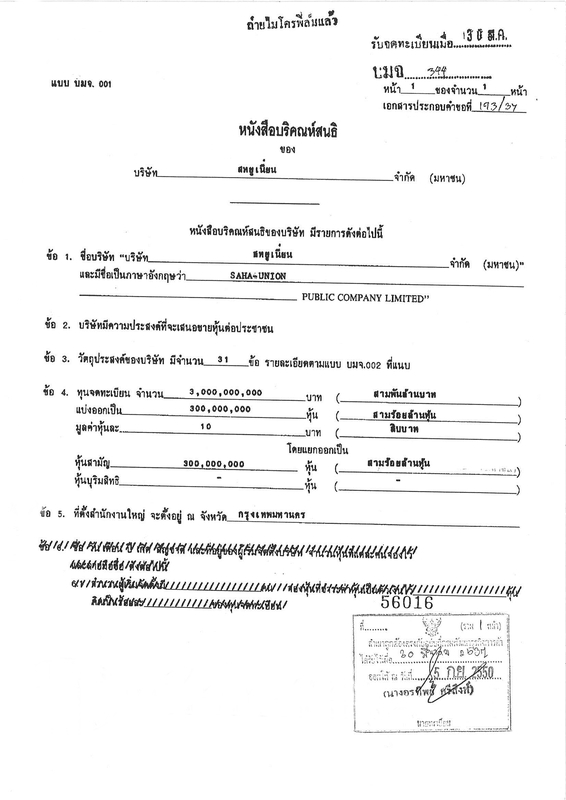 – An opinion about acting legally as the Securities and Exchange Act and the Stock Exchange of Thailand’s regulations or the laws concerning with the Company’s business. – An opinion on the suitability of an auditor. – An opinion on transactions that may have conflicts of interest. – Number of the Audit Committee’s Meeting and attendance of each member of the Audit Committee. – An opinion or observation by the Audit Committee received from the obligations under the Charter or the Audit Committee’s regulations. – Other information that the Shareholders and general investors should know under the scope of duties and responsibilities assigned by the Board of Directors. 7. Management must correct deficiencies detected, as well as expedite to fixes its deficiencies. 8. Monitor and evaluate the performance of the Audit Committee deem important. 9. Perform any other duties assigned by the Board of Directors.